Looking for the best Mexican restaurants in Daytona after cruising the streets of Daytona Beach? If you're craving tasty tacos, big burritos, and crunchy churros for your next Mexican meal, we've got your list! Tia Cori’s Tacos is the place in Daytona Beach for $1.50 tacos and $5 margaritas! Come to their taco shop for tacos made fresh with salsa, guacamole, and a smile! After stuffing yourself with their tasty Mexican cuisine, treat yourself with a creamy flan for dessert. Yum! 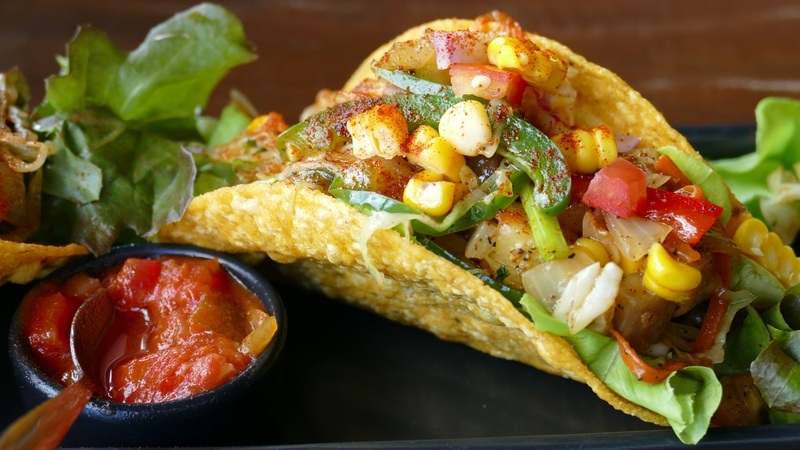 Brisas del Mar is a casual Mexican grill ready to serve Daytona regulars flavorsome food! Their menu accommodates cravings! We recommend Taco Salad and their version of a Burrito Bowl. You can't go wrong with their seafood dishes, fajitas, or a combo dinner special. At Agave in Ormond Beach, fresh, authentic Mexican food and treating you like family is their specialty. Happy Hour 2 for 1 specials and meals that satisfy any appetite are on the menu here. From something light to eat like the Primavera Salad to something more filling such as their Burrito de Carne Asada, Agave has it! Come to La Fiesta to be served with great staff, excellent food, and a great time with your friends! Start off with ceviche to share and gradually move on to large entrees from T-Bone Mexican, Enchiladas Rancheras, and more! If you’re going for lunch, there are many tacos to choose from that will hit the spot! Fiesta Maya gives a warm family-friendly ambiance and is the place to find Mexican food! Feast and quell that hunger spell with fresh ingredients made the traditional way! Try the queso flameado loaded with jack cheese and chorizo for an appetizer or the combo plate, choose from enchiladas, chalupas, tacos, and more! Senor Taco keeps their menu simple as their cozy shop. Find the best tacos, nachos, tostadas, burritos, and quesadillas served in the "style' you prefer. A unique find on our list of the Best Mexican Restaurants in Daytona, you will love the simple, honest falvors. This family owned and operated Mexican restaurant in Daytona offers homemade guacamole, grilled Mexican specialties, classic tacos, and more. El Tequila’s Maria Bonita in South Daytona features authentic Mexican dishes like corn tamales, chiles rellenos, and our favorite the fajitas. Start your meal with traditional guacamole and tortilla chips then get the Mazatlan Quesadilla with grilled salmon, shrimp, and crab meat. Come with your friends and enjoy drinks at their full-service bar, too! The Taco Shack is a little surf-themed restaurant serving Mexican specialties alongside Latino favorites like pastelon, mofongo, and empanadas! Next time you are looking for the best Mexican restaurants in Daytona take a break at one of these shops and spend some one-on-one time with a hot tamale! Stay connected to Events in Daytona Beach and much more by registering on 386area. Learn more about all your area has to offer. Keep up with dining, Things to Do, and Sports. Do you like to write and know the area well? We are hiring Local Contributors. Contact us at contact@myareanetwork.com for more information.